Alla battaglia – the Story of a Musical Type is the second musical historical book of Vladimír Godár published this year, in which he presents his musicological opinions and scientific results, to which he came during the recent twenty years of his musicological research. Published in August 2012, again in collaboration with the publishing house AEPress, this time also with some contribution from the Music Fund. 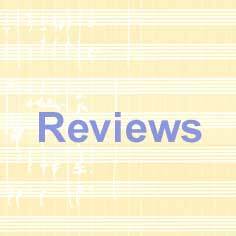 In this work the author studies the development of the musical type of battaglia from its first traces in the 14th century in Europe to the last pieces of the type, occurring in the 19th century on the American continent. In particular chapters the author pursues the question of the genesis of battaglia, battaglia idiom, relations among particular compositions, the influence of battaglia on scenic music, dance and instrumental music, and the extinction of the battaglia type as a living component of the performed repertory. 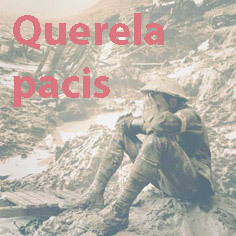 The book is supplemented with an appendix containing the author’s own transcriptions of battaglia compositions. CD Mater with soloist Iva Bittová is perhaps the most famous project of Vladimír Godár. Those who have not seen and heard the concert Mater live had an opportunity on June 28, 2012 in Bratislava, in the frame of the Viva musica! festival (http://www.vivamusica.sk/#program/7-vladimir-godar-mater), when the concert took place with Iva Bittová, Solamente naturali ensemble and Cathedral Choir. The crowded Old Market Hall witnessed the mystical atmosphere enhanced by the setting dusk but particularly by the impeccable performance of the musicians. Long-lasting applause, even standing ovations, was interrupted by the producer of the CD Pavol Maruščák who handed over the symbolic Golden Disc Awards to all the main CD contributors – soloist Iva Bittová, conductor Marek Štryncl, choirmaster Dušan Bill, first violin player and orchestra leader Miloš Valent, and Vladimír Godár – for the successful sale of the CD at home and abroad. 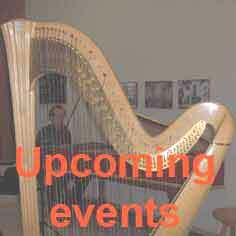 Gallery of Music (http://nitrianskagaleria.sk/event/galeria-hudby-2012/) is the chamber concerts cycle taking place in Nitra Gallery for the 7th time this spring. 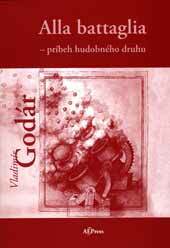 In the frame of the cycle the profile concert of Vladimír Godár was on May 17, 2012. You heard several of his pieces excellently performed by the members of Quasars ensemble. The concert was concluded by the little symbolical ceremony putting into life the new Godár’s book The Birth of Opera from the Spirit of Rhetoric by the author and “godfather” Julo Fujak. Cellist Jozef Lupták and pianist Nora Skuta were the next performers of the Vladimír Godár’s piece Sonata for cello and piano on memory of Viktor Shklovsky. Their brilliant rendition in Austrian Klosterneuburg was very successful and aroused interest of the audience in other works of the composer. We would like to express our gratitude to all performers who spread the reputation of the Slovak music in the world! A festive ceremony of the national movie awards The Sun in a Net took place on April 17, 2012. Vladimír Godár earned the best music prize for his soundtrack to the movie Gypsy by the director Martin Šulík. Besides the movie won six other prizes. Congratulations! 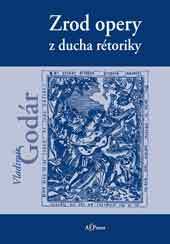 In the co-operation with the publishing house AEPress composer and musicologist Vladimír Godár published a book The Birth of Opera from the Spirit of Rhetoric on 16 March 2012 as his own birthday present to himself. In this publication he surveys the situation in the music of the Italian cinquecento, which resulted in the origin of a new epochal musical-dramatic genre – opera. According to the author opera originated not only from the reflections and experiments of Florentine philologists and musicians, its birth had been conditioned also by a transformation of the cultural paradigm, which characterizes the Italian musical Renaissance itself. The quest for a new linking of music and word, poeticisation and rhetorisation of musical art, joined with changes in the music of the 15th–17th centuries, had changed the whole musical culture of the cinquecento, and the synthesis of new perspectives on music itself led eventually to the nascence of opera at the turn of the 17th century. Consequently, the origin of opera does not mark the beginning of a new musical-stylistic Baroque period, opera was a synthesis resulting from the quests of several generations of Italian Renaissance creators. 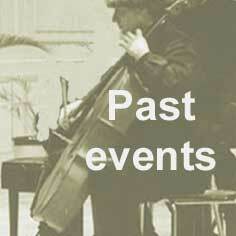 Vladimír Godár’s piece Sonata for cello and piano on memory of Viktor Shklovsky belongs to the most performed of his compositions. After it was rendered by one of its first performers Jozef Podhoranský (accompanied by Mária Heinzová on piano) in November 2011, on 5 March 2012 we had a chance to listen to the performance by one of the youngest-generation cellists Viktória Verbovská (accompaniment Iveta Sabová). At the turn of 2012 a new CD was released by the Pavlík Records publishing house featuring the excellent Slovak violinist Milan Paľa. It is the third one from the CDs presenting the pieces by Slovak composers for solo violin, an ambitious project of Paľa’s. Besides pieces by other Slovak composers there are two works by Vladimír Godár – O Crux, Meditation in a version for solo violin and Sonata for solo violin from 2004.